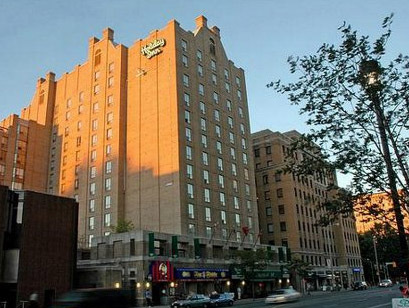 The organization has obtained a special rate of $129.99 CAD per night, plus taxes and fees at the Holiday Inn Bloor-Yorkville during the conference period (June 10 - 18 2010). The booking code to get the conference rate is "ACM". There are 20 rooms available at this rate. The hotel is a pleasant 7 minute walk from the conference location. Please book as early as possible to ensure room availability and note that the conference rate expires May 14, 2010. For the budget traveller, Victoria University at the University of Toronto is holding 25 rooms for conference attendees. Adult: Single $CDN59.50 or Double $CDN80.50 (plus 10% taxes) per night. Student: Single $CDN49.50 or Double $CDN70.50 (plus 10%) per night. All rates include a full hot breakfast. Participants can e-mail room requests to Victoria University Residences or call 416-585-4524 to make a reservation with the desk staff. You can also print up a reservation form from the residence website and fax it to 416-585-4530 or submit an online room reservation directly to the residence e-mail. Note: participants must indicate that they are participating in the Hypertext 2010 conference when making a room reservation.